Children with autism spectrum disorders share a pervasive impairment in the development of reciprocal social interaction skills but vary in their verbal and nonverbal communication skills and various restricted and repetitive behaviors. This variability presents challenges for developmental and neurobiological models. Our understanding of the autism spectrum disorders is improved by studying children at various points in development, including infants, and by using a careful neuropsychological approach. This approach is emphasized here in studies that examine characteristics of infants later diagnosed with autism spectrum disorders, neuropsychological test performance of children, and developmental information obtained from detailed, standardized parent interviews. Due to the pervasive nature of the autism spectrum disorders, attention difficulties are commonly observed. Studies that address specific aspects of attention are included, with an emphasis on how attention difficulties may help to explain the early symptoms and the characteristic social deficits in these disorders. Using a range of approaches has helped us to learn more about how these disorders affect a wide range of skills throughout the course of development. 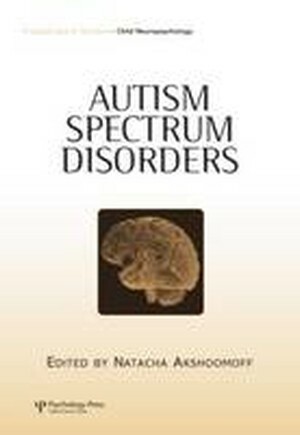 It is hoped that the findings from the studies in this special issue will assist efforts aimed at improving diagnostic characterization, as well as delineating targets for behavioral and educational interventions, in children with autism spectrum disorders.